Enter the mind-altering life of psychic Eric Fox. In this thriller of a case – Black Diamond – you head-trip into a sinister, extrasensory-enhanced world, trying to solve the mystery behind the madness. Creep around in the lives and minds of the people you meet to discover their bizarre relationship and evil agendas. Interpret clues you find in the retrocognitive flashes you receive. Throw your psychic weight around to get what you want. But – be careful – hop into the wrong head, and you could wind up a shambling idiot. IN THE ROLE OF ERIC FOX, YOU INVADE THE MINDS OF OTHER CHARACTERS TO GATHER CLUES. ALL NEW INTERACTIVE MOVIE FORMAT: THE MOVIE CLIMAXES WITH THE BLACK DIAMOND PSYCHIC BATTLE, WIN THIS BATTLE, AND WIN ALL, LOSE IT, AND LOSE YOU MIND. Colossal Pictures, who did the film production on the game, was famous for their intro / short work with MTV, Nickelodeon and others Networks, on top of many TV Commercials. 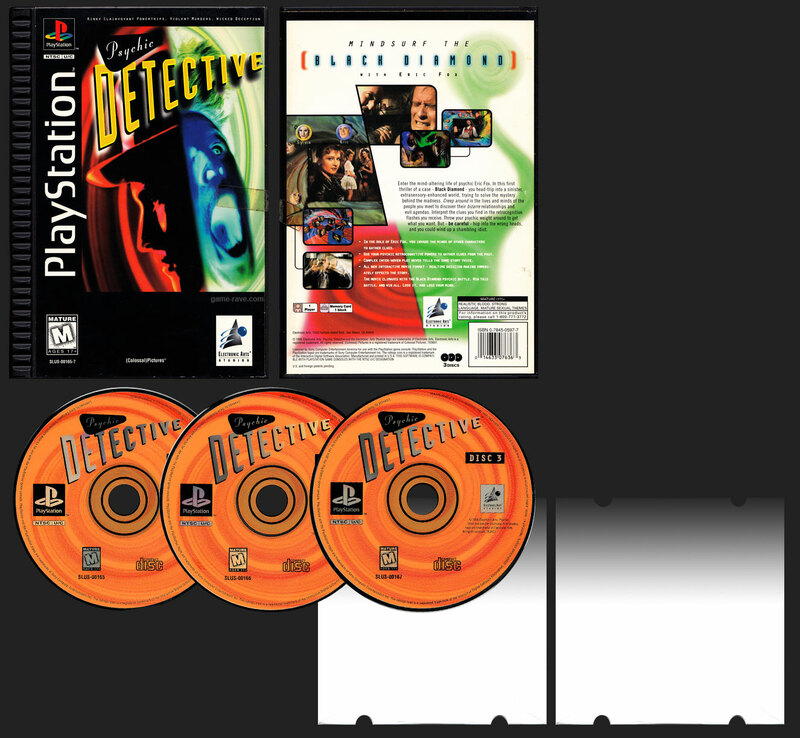 This is also available on the 3DO and PC.